Secure your web site with a 256 bit encryption RapidSSL, Geotrust QuickSSL or VeriSign Secure Site Certificate and conduct safe and secure e-commerce transactions over the internet and most importantly secure your customers information. Cheap Positive SSL Certificate If you are looking for the SSL Certificate which is secured your website with https at affordable cost then here is your SSL Certificate which is called as Comodo Positive SSL. 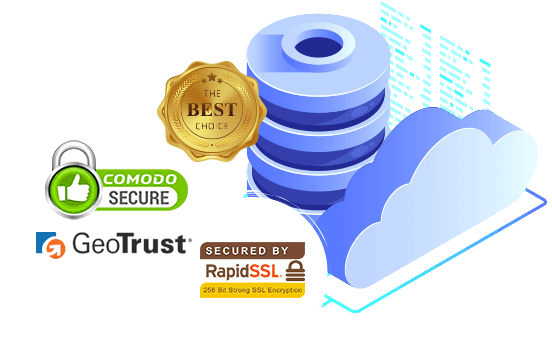 Comodo Positive SSL certificate is one of the best web security certificates which provide you high encryption strength at low cost. Highest Levels of Security Positive SSL Certificate offers up to 256-bit encryption capability and 2048-bit signatures. Cheap Price we offer best price as low as $6.95 per year and you can buy coverage for up to three years. with coverage Enjoy 99.3% web and mobile browsers compatibility.